GTB Cases proudly offers a full selection of protective cases. We stand by the manufacturers quality guarantees against breakage and defects. These cases have proven to stand up to severe conditions in applications for industrial, military, fire rescue, law enforcement, outdoors and beyond. Customizable foam interior and injection molding options make fitting even the most awkwardly shaped equipment easy. 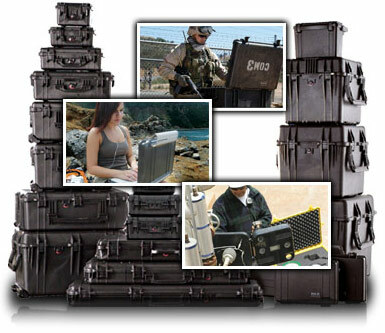 Large camera lenses, industrial gauges, ammunition and even laptops all fit snug and secure. Your case contents will stay totally dry with our selection of waterproof cases. Fieldtex Cases has been a soft-sided case manufacturer for 35+ years and expects to remain in business for a very long time. With an in house design team and over 85 sewing machines, there is no job Fieldtex can't handle.